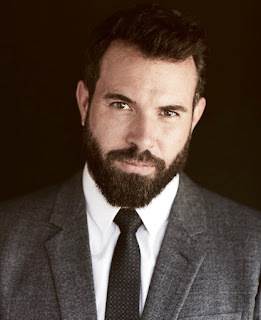 Neve Campbell (Skyscraper, “House of Cards”), Tom Cullen (“Downton Abbey,” “Knightfall”) and Keir Gilchrist (“Atypical,” It Follows) have joined the cast of writer/director Joey Klein’s (The Other Half) "Castle in the Ground." The upcoming crime-drama will star Alex Wolff (Hereditary, Jumanji: Welcome to the Jungle) and Imogen Poots (Green Room, Frank & Lola). William Woods under his Woods Entertainment banner and Michael Solomon under Band With Pictures will produce. Andra Gordon of American Entertainment Investors developed the project with Woods and Solomon and is executive producing alongside Tom Spriggs, Rob McGillivray, Ben Stranahan, George Stranahan, John Hansen, Mark Gingras and John Laing. The film is financed by Line 200, Ontario Creates, NOHFC and Telefilm. With roles crossing many genres, Campbell most recently starred in Universal’s Skyscraper alongside Dwayne Johnson. She previously starred in the Golden Globe® Award winning series “House of Cards” and the Golden Globe®Award winning series “Party of Five” and had a recurring role as Sidney Prescott throughout Wes Craven’s Screamfranchise. The SAG® award winning actor, Cullen, currently stars on The History Channel series “Knightfall,’ and is best known for roles on the Golden Globe® Award winning series “Downton Abbey,” the Emmy® Award winning “Black Mirror,” and “Gunpowder” alongside Kit Harington and Liv Tyler. He also starred in Joey Klein’s The Other Half opposite Tatiana Maslany, Mine opposite Armie Hammer, and Andrew Haigh’s award-winning Weekend. 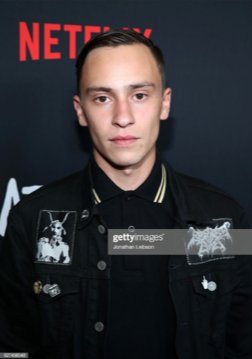 Gilchrist currently stars on Netflix’s “Atypical” alongside Jennifer Jason Leigh and Michael Rapaport. He previously starred in Showtime’s “United States of Tara” opposite Toni Collette and Brie Larson, and in Anna Boden and Ryan Fleck’s It’s Kind of a Funny Story alongside Emma Roberts and Zach Galifianakis. Campbell is represented by CAA, Mosaic and Viewpoint. Cullen is represented by UTA, United Agents in the UK and Viewpoint. Gilchrist is represented by ICM Partners, Amanda Rosenthal Talent (ART), Thruline Entertainment, Viewpoint and Lichter, Grossman, Nichols, Adler & Feldman.